John Aranha got an order from Central Mumbai District Consumer Forum that made Croma pay him Rs 26,300 for a fridge he had bought but was never delivered to him, says consumer activist Jehangir B Gai. John Aranha had booked a Samsung Refrigerator through Croma. He paid full price of the fridge on November 8, 2012, by availing a loan from Bajaj Finance. Despite having received the entire payment, Croma failed to deliver the fridge. Meanwhile, Aranha kept paying the equated monthly instalments and cleared the entire loan given by Bajaj Finance so that he does not become a defaulter. When the fridge did not arrive at all, Aranha finally had a notice issued to Croma on July 2, 2015. As there was no response, he filed a complaint before the Central Mumbai District Consumer Forum on March 11, 2016, jointly against Croma as well as Bajaj Finance. He sought delivery of the fridge, and claimed interest for the delay, compensation for mental agony and litigation costs. Instead of expressing any remorse for its conduct, Croma contested the complaint. It contended that Aranha's case was time barred. It contended that the model booked by Aranha was no longer available, so the booking had been cancelled on December 28, 2012, and Bajaj Finance had been requested to refund the money. Croma claimed that there was no deficiency on its part and the complaint should be dismissed. Bajaj Finance also contested the complaint. It claimed that it had advanced a loan merely as a financer, which had been cleared by Aranha. Bajaj argued that it had nothing to do with Croma's failure to either deliver the fridge or refund its price. The Forum observed that the complaint had been filed more than two years after the fridge was booked. 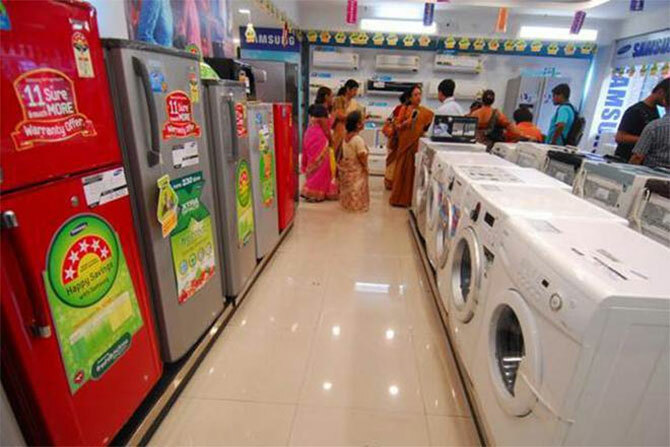 But this would not affect the limitation since the cause of action was continuing, as Croma had neither given delivery of the refrigerator nor refunded the amount paid for it. The Forum observed that Croma would not be entitled to take disadvantage of its own wrong. So the complaint was held to be within limitation. On merits, the Forum observed that delivery of the fridge was Croma's responsibility and not that of Bajaj Finance, which had needlessly been dragged into the litigation. So far as Croma was concerned, the Forum observed that even though the full price had been paid, Croma had not delivered the fridge, but had unilaterally cancelled the booking without intimating Aranha about the cancellation. Thus, Croma had illegally retained and used Aranha's money right from the time of booking. Accordingly, by its order of September 4, 2017, delivered by the president of the Forum, B S Wasekar for the Bench along with member S R Sanap, the Central Mumbai Forum ordered Croma to refund the amount of Rs 26,300 paid for the fridge, together with 18 per cent interest from November 8, 2012 when it had been booked, till the time the amount was refunded. Additionally, compensation of Rs 10,000 and costs of Rs 10,000 were also awarded. The conclusion is that when neither delivery is given nor the money refunded, the cause of action keeps continuing, so limitation will not apply. Note: The lead image is used only for representational purpose. IPOs are booming but who's making the money?